What is the price of the trades in the Libertex Terminal? Your demo account is a training version of your live account where you can trade with virtual money and real instruments without risking your own money. What are the advantages of a demo account? 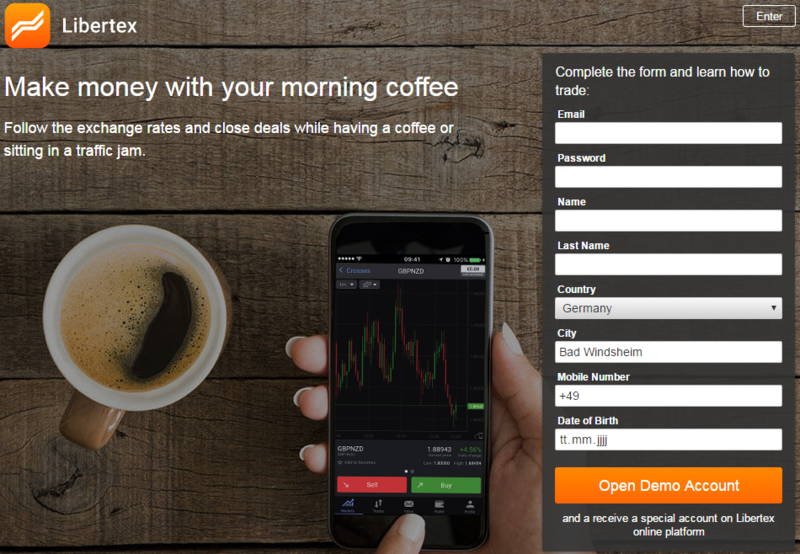 – Open it immediately and start trading. – You are training on the same online terminal, where the live trade also takes place. – There are a number of instruments from which you can practice each one for the trade. – You will automatically be credited with a sum of free virtual money that you can use as you wish. – There is no risk for your own money. – Complete the simple form (you must be 18 years or older). – Log in to your Demo account login data at Libertex and train at any time. The free demo account is a safe way to explore the financial markets. The trade mechanism at Libertex is unique. All the difficult aspects of the trade are configured for you in the commercial terminal, for example, you do not need to know any financial terms like spreads and lots to start trading. – Select the direction of the instrument (BUY = price goes up or SALES = price goes down) and your trade is ready. A multiplier is a coefficient used for risk management in trading with various trading instruments. It determines how the trade changes in relation to the price change. The coefficient can have a value of 1 to 500. – In the Trade window, set a value greater than 1 in the «Multiplier» field (for example, 7). In this case, the risks also increase proportionally. When trading with $ 1,000 and a multiplier of 7, you actually increase your trading amount to $ 7,000. $ 1,000 × 7 = $ 7,000. Important: Potential profits and losses in your trading will change proportionately depending on the value indicated in the multiplier. Trades in the Libertex Terminal are executed at the middle rate. The middle rate is the average of the current bid price (best price of buyers) and the bid price (best seller price). However, since some prices for stock exchange products have minimum price flows, which are determined by the exchanges themselves, our middle price can not be exactly the average of the bid and ask prices. It is rounded to the nearest value allowed.